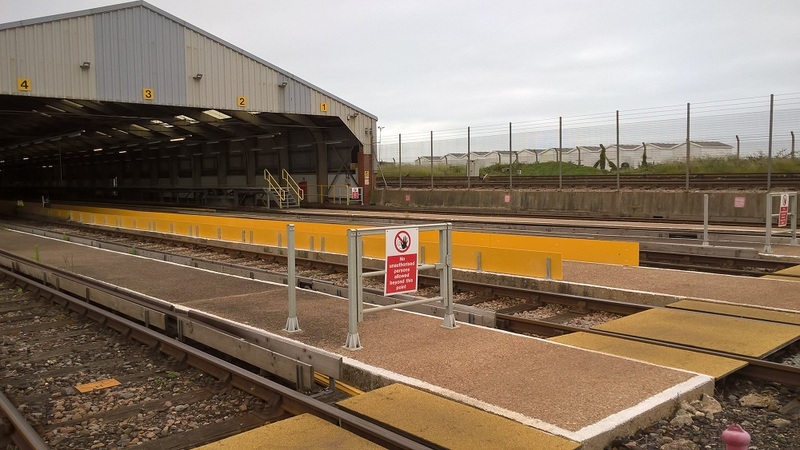 A reporter raised a concern regarding the shoe gear guard boards that were installed at West Marina Depot. According to the reporter, these new shoe gear guard boards were too high, obstructing the bottom step of the train when getting out. The reporter said that when you place your foot on the bottom step of the train, the guard board was behind the heel – this could cause a person to lose balance. Moreover, the reporter stated that often, the foot rested on top of the guard board, which was thin and wobbly, increasing the risk of slips, trips and falls. When this issue previously occurred years ago, the guard boards were adjusted accordingly. Some adjustment would be advisable this time round too. Carry out a risk assessment and share the results? Shorten the guard boards to the same height of the ones that were fitted previously? Southeastern welcomes the opportunity to respond to the concerns raised. Following receipt of this report the shoe gear guard boards were measured and a section was found to be high. The affected section has been trimmed down to match the rest of the guard boards in the depot and is no longer above the cab step level. What can you do to prevent slips and trips?